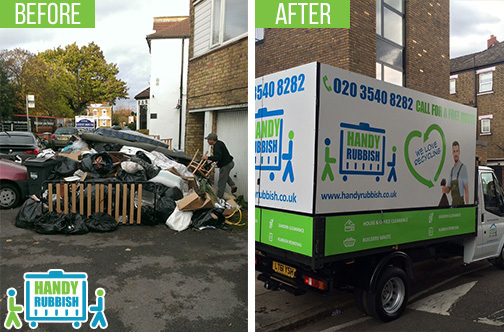 For an affordable and hassle-free rubbish disposal service in Thamesmead, Handy Rubbish can provide all the services you need. Our experts can collect and dispose of a wide range of domestic, commercial and industrial rubbish in a quick, efficient and affordable manner. Our services include everything from general household to garden waste, from furniture to clearing a building site. We are committed to providing the highest levels of customer service and we are happy to provide you with a customised SE2 waste disposal package that fits your needs. For the lowest priced service at high-quality standards, call us on 020 3540 8282 today. Handy Rubbish is a leading provider of rubbish disposal services, thanks to our company growth based on supplying excellent services to all of our clients. Clearing up a construction site in SE2 region is a hard work and involves heavy lifting and large equipment to carry the waste. Our Thamesmead waste clearance service covers all of this, relieving you of all the hard work. Our team is fully trained to clear any waste left over after building work and we have all the right equipment to carry and transport the waste away as effectively as it possible. The waste is disposed of in an environmentally friendly way and recycled wherever possible to keep any negative effect on the environment to a minimum. We cover any size of construction or building sites. Our rubbish clearance service in Thamesmead, SE28 comes with our strong reputation for being dependable for arriving on time and within a short timeframe as well if required. For any garden waste you may have accumulated in your garden for whatever reason, our garden waste clearance service can remove and dispose of it in a fast manner and with optimum efficiency. Whether it is broken equipment, products to dispose of, natural and organic waste, or old construction materials, we can pick it up and dispose of it all. More often than not, our team of experts can clear up a garden in a day. If you are not sure that we can cover your needs, we guarantee we can! Call us on 020 3540 8282 now to learn more. 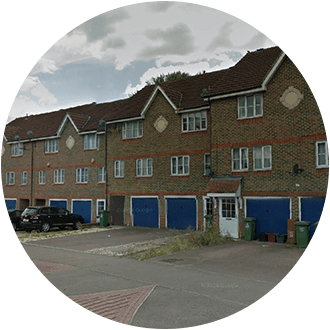 Our Thamesmead waste removal SE2 specialists can work with you on a regularly scheduled basis, as well as offering periodic services. We also offer discounted rates to larger businesses, as well as very affordable prices for residential customers. For a regular or one-off waste disposal service, you can depend on us to cater for any of your needs. Whatever the waste, we have the team and equipment to come to your property, pick up the rubbish and then transport it away in a safe and effective way before disposing of it. There is no rubbish too small or too large for us to handle; we will take on any job! Whether you need a Thamesmead waste collection service for your residential property or a commercial building, we can definitely help you to sort out your SE2 rubbish removal needs. To get a no obligation quote, call us on 020 3540 8282 today to speak with one of our experts. They offer the best value for money rubbish removal services in SE2. Exceptional service delivered by their experts in Thamesmead! - Reviewed by Michelle C.
Thamesmead has transformed the former marshland on the south bank of the River Thames into a residential area in South East London. It is a large area spanning the three postcode districts of SE28 and DA18 and is found in the London Boroughs of Greenwich and Bexley. Currently, the area doesn’t have any underground or overground rail networks, yet it is well served by buses making the tube and railways accessible. Thamesmead has both daytime and night buses operating every day throughout the district. The original architect of the area built in many canals to give the district a 'calming' effect.